Australia’s delicious new drama, Bad Mothers, premieres on Monday, February 18, at 9.00pm after Married at First Sight on Nine and 9Now. Some mothers seem to have it all. Beautiful homes, the perfect family life and successful careers. But sometimes behind that pristine picket fence there’s a world of dirty little secrets. 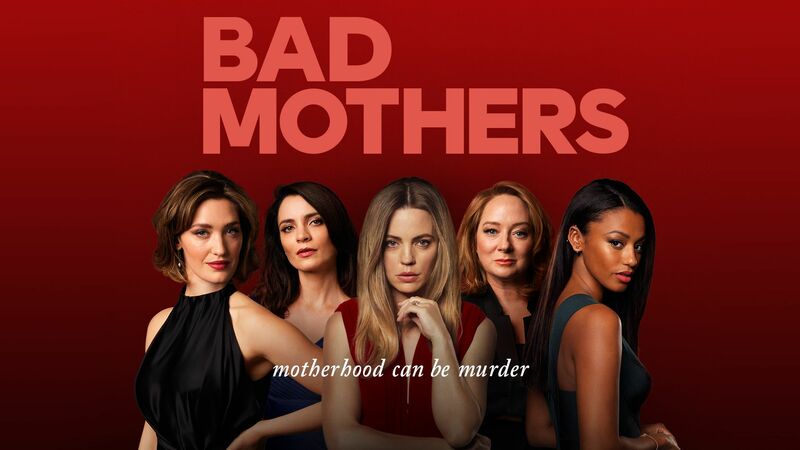 Bad Mothers explores the perils and joys of modern motherhood through the lives of five very different friends as they struggle to deal with everything from careers and romance, to playdates and murder. Sarah’s perfect life as a GP, wife and mother is shattered when she discovers her husband is having an affair. Then her best friend is found murdered and Sarah’s husband, Anton, is arrested. She finds unlikely sisterhood and support in a ragtag group of outsiders. Buoyed by their support, Sarah is drawn into the chaotic worlds of her new friends: Danielle, an outgoing woman at a career crossroads; Bindy, a wild child party animal; and Maddie, a fierce single mum struggling with a difficult child and an acrimonious custody dispute. An outstanding ensemble cast stars in the series: Melissa George (Charlotte), Tess Haubrich (Sarah), Mandy McElhinney (Maddie), Jessica Tovey (Danielle), Shalom Brune-Franklin (Bindy), Daniel MacPherson (Anton), Don Hany (Kyle), Steve Bastoni (Tom) and Michala Banas (Jesse). Bad Mothers, from Filthy Productions and Jungle Entertainment, was filmed in Melbourne, with principal funding from Screen Australia in association with Film Victoria and support from Create NSW.